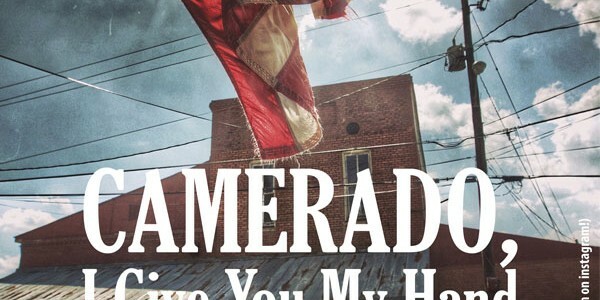 The Walden Theatre Alumni Company is pleased to present Camerado, I Give You My Hand. 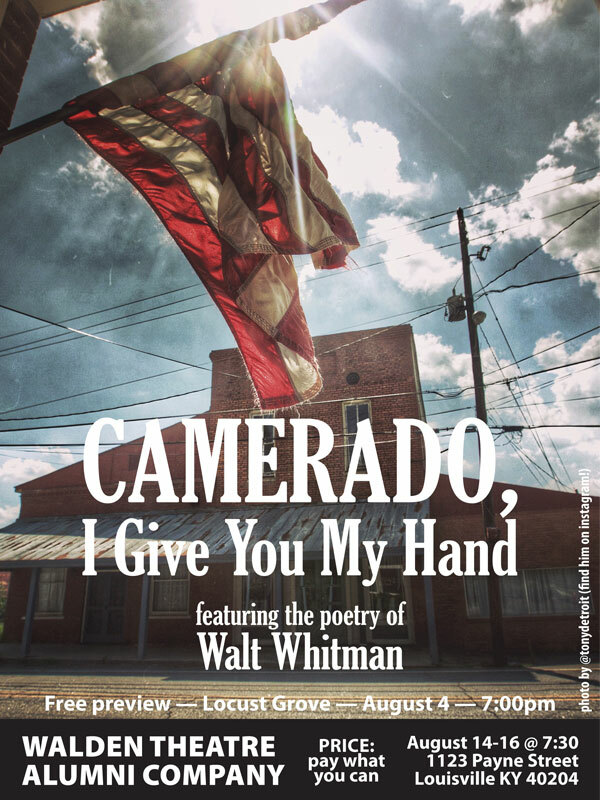 The production manifests Walt Whitman’s poetry in a new, performative workshop production where vignettes from the poet’s seminal Leaves of Grass spring to life with fluid dialogue and movement. The ensemble is performing a spoken-word preview at Historic Locust Grove on August 4 at 7 p.m., with the full workshop performance running at Walden Theatre (1123 Payne Street), August 14 – 16 at 7:30 p.m. Preview admission is free, with workshop performances available on a “pay what you can” basis. Walden Theatre is proud to have created a network of talented performing artists with careers in theatre, television, film, and arts education. The organization continues fostering the artistic development of graduates through the Walden Theatre Alumni Company, which gives up-and-coming theatre professionals opportunities to take the stage while independently developing, producing, and performing challenging new works for the theater-going public.